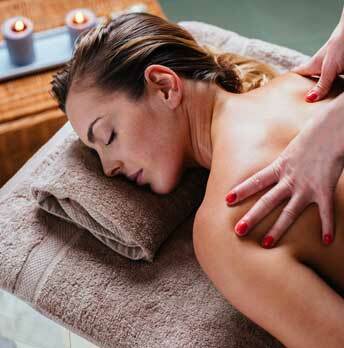 Deep Cleansing Back Treatment – 1 hr - This soothing treatment will help to clear blemishes and acne on the back area. It will help to decongest and improve skin tone and texture. Exfoliate, tone, essential oil hot compress, ampoule, essential oil back massage, mask, tone and moisturise. Can be taken as an intensive course of six treatments once a week then once month maintenance. Homecare is recommended, exfoliate with Body Scrub and apply Purifying Cream every day to the problem areas. Essential Oil Top-to-Toe - 2hrs - Very relaxing and soothing treatment using aromatherapy oils. Cleanse, tone, essential oil hot compress, massage back, legs, scalp, face, neck, and shoulders. Mask to face, massage feet, legs, abdomen arms and hands. Remove mask, tone, moisturise. Ultimate in luxury and useful in treating stress-related conditions or just a feel good factor. I stock Susan Molyneux products for you to purchase. Try some FREE samples before you buy..